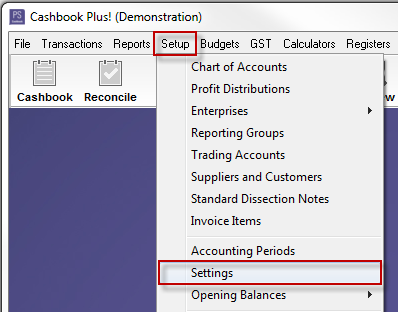 How do I set up a recurring payment in Cashbook? Cashbook! provides a method of setting up regular transaction that can be processed automatically. Click on the Setup > Settings menu option. 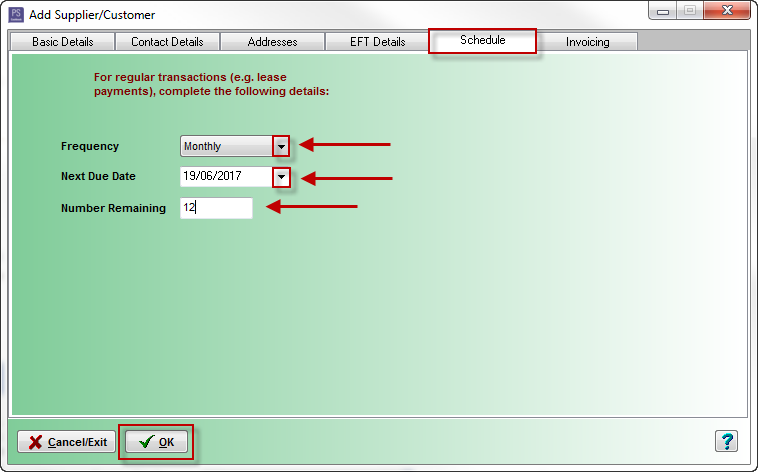 Tick the box Prompt to display Regular Transactions due when program starts. 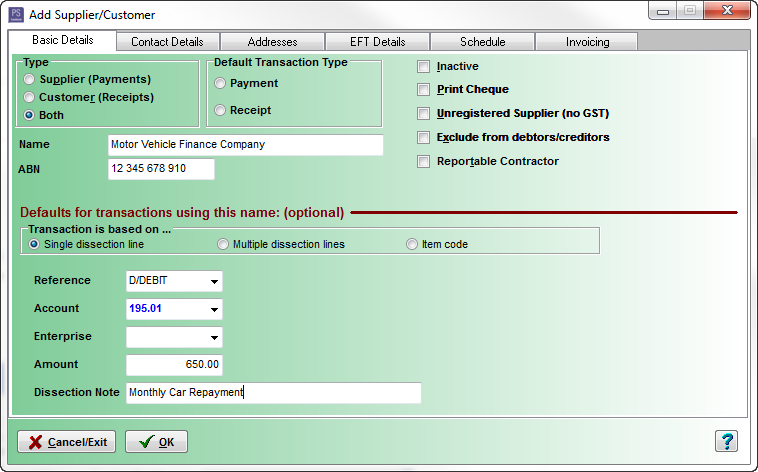 In the Basic Details tab fill in all the applicable information necessary for the transaction. Frequency (ie weekly, monthly, etc). You will automatically be taken to the Process Regular Transactions window. Ensure the correct bank is selected.. Tick the Process check box next to the transaction. The transaction will automatically be added to Cashbook. Click OK to the Information message: ‘Processing Complete’. 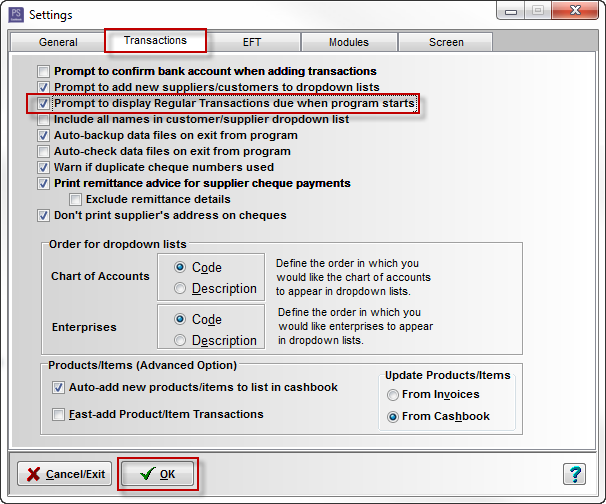 Note: This window can also be accessed by clicking on Transactions > Process Regular Transactions menu option. 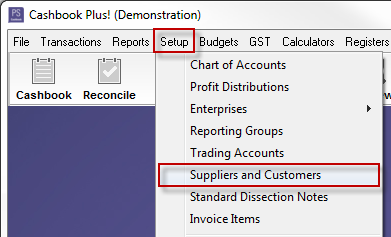 Click on the Cashbook toolbar option. Select the appropriate Bank Account. Check that the transaction is in the list.